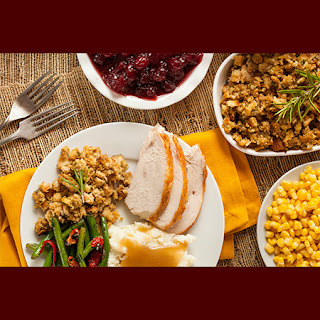 If you are looking for a full Thanksgiving spread without a full Thanksgiving load of dishes at home, Skamania Lodge will be serving a Thanksgiving dinner buffet this Thursday. With a large menu including starters, salads, "chef-stations," entrees, and desserts, come enjoy delicious food and lovely scenery at the scenic Skamania Lodge venue. The event sells out, so place reservations in advance! Join us in the Cascade Dining Room for all your favorites prepared deliciously and served buffet style. Reservations are required. Event will sell out. Call 509-427-7700. This place doesn’t have any 'i'm too cool and busy for you' wait staff. As per me, everyone here is nice, friendly, and helpful and they really seem to like their jobs there and that is important to me. We had an awesome experience at venues here. Wow, these photos from Thanksgiving dinner hosted at Skamania Lodge are looking so cute. I must say that it was perfectly organized and the food looks yummy too. At one of the local LA event venues we also threw the vintage inspired Thanksgiving luncheon in the last year. It was also very enjoyable.